voice over IP (VOIP) software is used to manage phone voice discussions across the Internet and easily keep in touch with friends and communicate effectively at work. These top VoIP software ensure that you will have free unlimited communication as long as you have an internet connection regardless of the device you are using. These will see your business communicate effectively with suppliers and also employees who are field based and those abroad. This is an easy to use VoIP freeware software. To use it all you require is your personal IP address and that of the person you want to call. You will also need a microphone and a headset to ensure clarity. It has a contact book where you can save contact details of those you communicate with and also has caller ID. You can also customize your ringtones for different callers. 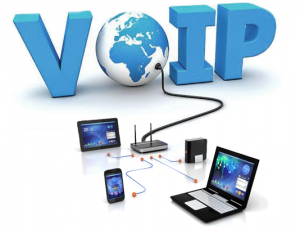 Supported by both Windows and Mac OS operating systems , VoIP Connect is versatile and a top VoIP software. After downloading it into your PC or laptop, it offers a free soft phone that you will use to make your calls for free. It also works in conjunction with other VoIP brands. Zoiper VoIP software is very modern and secure and is available free download. It easily works on multiple platforms including browsers, mobile devices whether Android or iphone and even Mac and Linux OS. It provides military grade encryption of your messages both text and voice ensuring that no one is eavesdropping on your conversation. It also offers video, audio, fax and instant messaging forms of VoIP communication. It is suitable for busy organizations as it has call centre capabilities such as auto answer and call recording. It is also free to use. This is a computer phone customized for businesses and individuals. To use this top VoIP software you require a sound card and supportive operating system such as Windows XP/7/8.1/10 and Mac OS. Using this software enables one to easily make voice and video call between computers and also between computers and phones. It contains a phonebook and supports caller ID. It can also put your callers on hold. It provides high quality calls since it has the ability to reduce noise and cancel echoes. It also supports emergency calling.